Diors new Backstage Brushes feature an elegant black beech wood handle and specially designed to ensure luxurious and flawless results. The brush hairs are shaped and never cut, for soft, streak-free makeup application. These brushes are made of exceptional quality and have been crafted with the artisanal expertise of Raphaël, a French maker of art brushes. 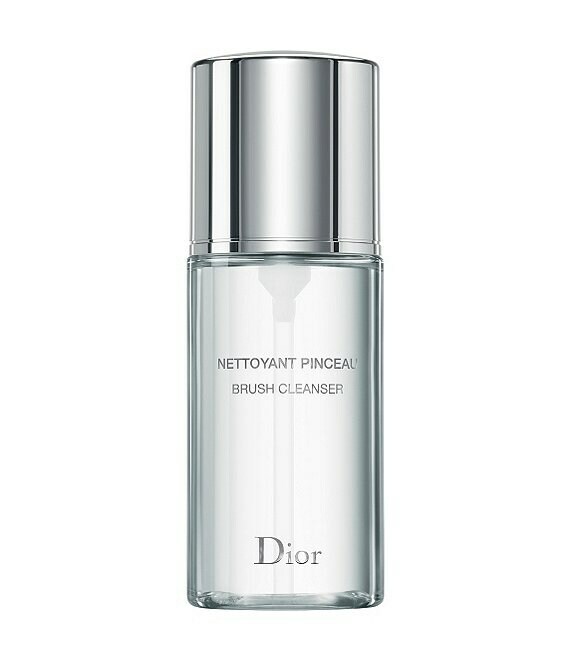 The brush cleanser is a key accessory to ensure proper care and exceptional quality of all Dior backstage brushes. If used properly this quick drying, antibacterial formula will guarantee perfect, professional makeup day after day. 5-oz. To properly care for your Dior Backstage Brushes, use Dior Brush Cleanser after each use. Its quick-drying, anti-bacterial formula ensures perfect makeup application day after day.